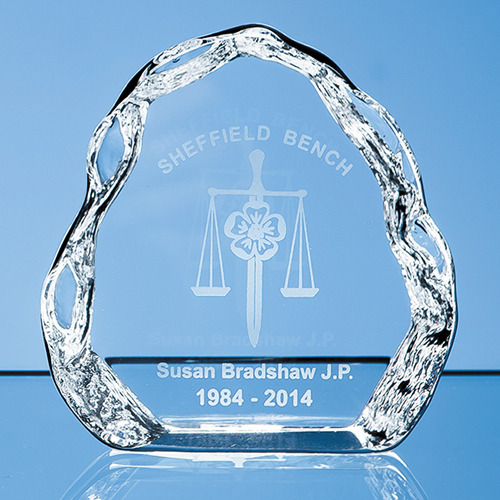 An attractive, appealing, freestanding ice-block effect corporate giveaway or commemorative item. It would look great on a mantelpiece at home, on a desk or on a shelf. In two sizes  10cm and 12cm (shown) there is plenty of space to engrave an inscription, logo or crest it comes already packaged in its own foam lined presentation box.